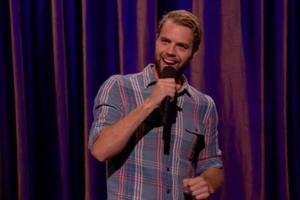 As seen on Conan, Late Night with Seth Myers, and a cast member on Season 39 of Saturday Night Live, Brooks Wheelan tells stories from his life and manages to make every one of them hilarious. From college pranks to garage possums, he finds funny all around him, mining the smallest details and digging up comedy gold. Buy your tickets now!